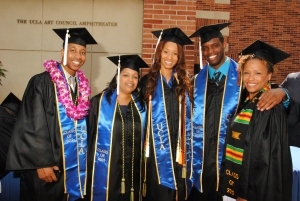 May 22, 2014 – This May, the Coordinating Committee on Graduate Affairs, part of the University of California Academic Senate, recommended final approval creating the Department of African American Studies. As part of the plan, the 40-year-old interdepartmental program in Afro-American studies has been disbanded and the bachelor’s and master’s degree programs in the field have been transferred to the new department. The degree titles have changed from B.A. and M.A. in Afro-American Studies to B.A. and M.A. in African American Studies. GREAT ADVANCEMENT,WE COMMEND YOU FOR THE NEW DEPARTRMENT.